Give your Jeep Liberty a sporty look by adding a unique Chromed Aluminum Fuel Filler Door. Easy No Drill installation, Smooth door operation, and meets all Chrysler corrosion standards. 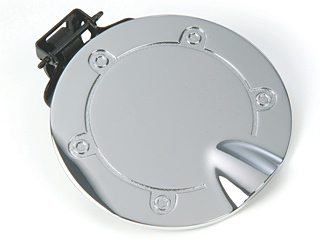 Chromed Aluminum Fuel Filler Door; Includes single-piece fuel door with factory style hinge.